Writers' strike or not, the Los Angeles Organizing Awards show goes on this Friday night, February 1. Gala event honors the people, products and services that make L.A. and the nation neater and more productive. Presented in cooperation with The Container Store. Public is invited to gala event. Writers' strike or not, the Los Angeles Organizing Awards show goes on next Friday night, February 1, at the Luxe Hotel Sunset Boulevard in Bel Air (Los Angeles), CA. The gala event, presented by the Los Angeles Chapter of the National Association of Professional Organizers (NAPO-LA) and The Container Store, will be hosted by Sherri Shepherd, co-host of ABC-TV's "The View," who will also share her personal experiences of working with a professional organizer. The Awards are the culmination of January's national "Get Organized Month." They celebrate and honor the best in the organizing industry, including professional organizers who set the standard for home and business productivity, and the products and services that help consumers and businesses organize themselves and their information, manage their time and control habits that can lead to clutter and chaos. "More than 1,000 people from across the U.S. voted in this year's Los Angeles Organizing Awards," said John Trosko, NAPO-LA Chapter President. "This year's extraordinary response is a testament to the fact that the benefits of organization, at home and at work, are highly appreciated by efficient, productive people everywhere. This year's Awards will be the biggest and best event we've ever had, complete with a red carpet for our own organizing celebrities. The public is invited to join in the fun, and learn firsthand about the most effective organizing strategies, products and services available." Individual tickets to the Awards are available to the general public and can be purchased online at NAPO-LA. Peter Walsh, organizational consultant, author, star of TLC's "Clean Sweep" and guest expert on "The Oprah Winfrey Show"
Julie Morgenstern, organizing and time management expert, speaker, New York Times best-selling author and winner of the 2006 L.A. Organizing Award for "Best Organizing Book"
Linda Koopersmith, professional organizer, spokesperson, author and organizer from Style Network's "Clean House"
Walsh and Oprah Winfrey's production company will be accepting the Special Recognition Award for raising the awareness of compulsive hoarding behavior in recent "Oprah" television segments. NAPO-LA also honors several of its members with special chapter awards. The Volunteer of the Year Award is presented to the chapter member with an exemplary record of service. The Leading Edge Award recognizes a NAPO-LA member whose actions and efforts elevate the quality or profile of professional organizers. The National Association of Professional Organizers, The Organizing Authority®, is dedicated to developing, leading and promoting professional organizers and the benefits of better home and business organization. The nonprofit association, founded in 1985 by five Los Angeles-based organizers, has grown to over 4,000 members throughout the world, including speakers, trainers, authors, retailers and manufacturers of organizing products. Over 125 NAPO-Los Angeles Chapter members serve clients in the Southern California region, from Santa Barbara to Santa Monica to Orange County, and from Beverly Hills to Pasadena to Claremont. Services include professional home and business organizing, information and time management, speaking, coaching and training. The Chapter provides Southern California-area organizers with a forum for networking, professional development and raising public awareness. 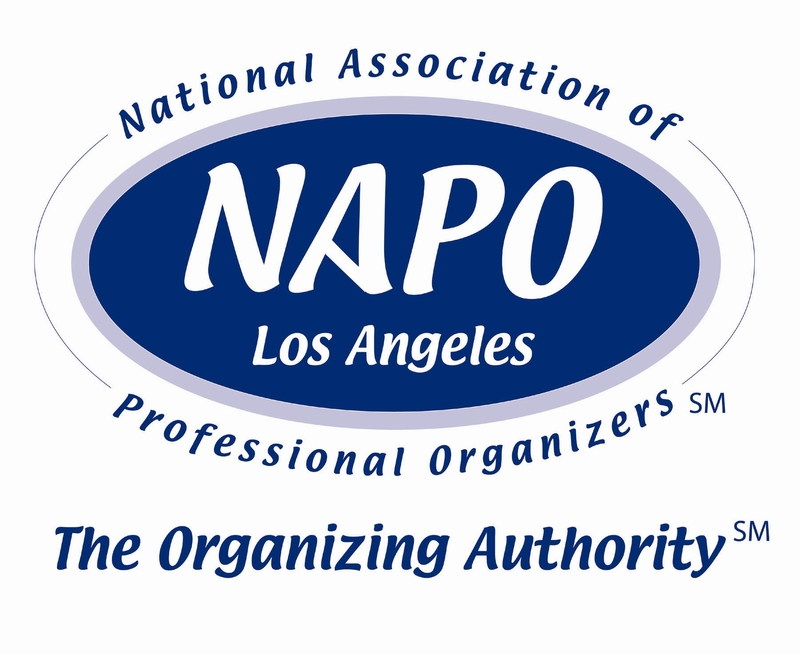 NAPO-LA produces the Los Angeles Organizing Expo as well as the annual Los Angeles Organizing Awards. For tickets, information, or last minute sponsoship opportunities, log onto NAPO-LA.